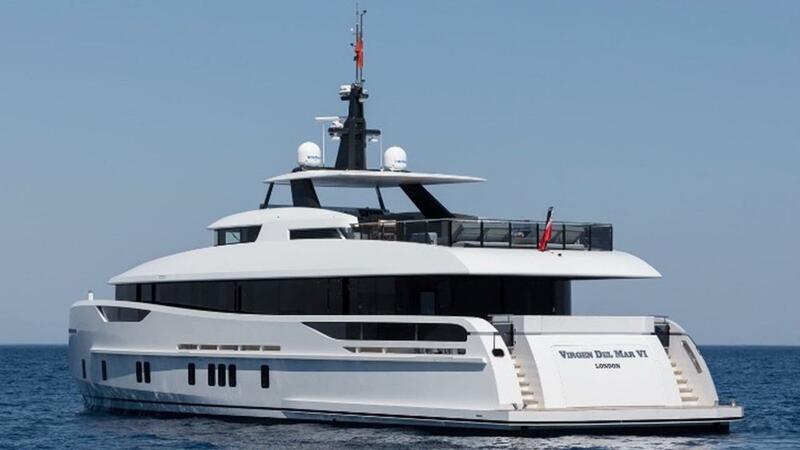 Alia Yacht from Turkish yard has delivered the 31-meter “pocket superyacht” Virgen del Mar VI. This is the 10th superyacht delivery by the club to date. It was launched in May and was delivered to its owner in early July, ahead of a busy Yacht Charter season in France. The yacht has the full displacement steel hull. Its structure is made from aluminum was designed by Omega Architects. The interior styling of the yacht has been done by the UK studio Redman Whitely Dixon. This yacht is 235GT and it has many features. The yacht has a number of al fresco areas best for dining and sunbathing on the 50 square meter fly deck and on the main deck aft behind the raised pilothouse of the yacht. It is described as the “fresh and airy” because of the kind of interior that the yacht has. The yacht has the interior in light oak and dark sycamore tones, with the touch of hand-cast bronze. It has full-height, wraparound windows that let an ample amount of light to come in. The yacht can accommodate up to ten guests and it has five cabins, including the 22.5 square meter master stateroom. The stateroom sits on the main deck and it is flanked by two doors made up of glass that enters onto the private terrace. The rest four guest cabins are consist of two twins and two doubles, sit on the lower deck. Is Cairns, Australia On Your Travel Bucket List?